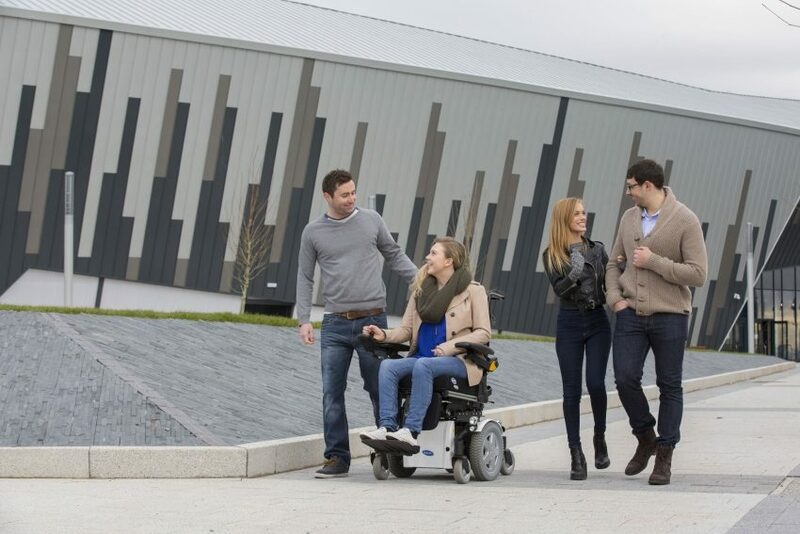 You have just bought a new power wheelchair and you’re very happy with your choice. Like any other power wheelchair user, you have several expectations regarding the driving range of your chair. To achieve high mobility, independence and freedom, security, safety and after all the ability to come home as expected. But these highly depend on your battery! 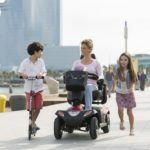 Have you ever felt that your brand new power wheelchair does not reach the range mentioned in the technical specifications? How can you increase the range? What can you do to ensure the life of the battery? Below we will discuss some tips regarding battery maintenance (some more info here) that will allow you to achieve the above at the best degree possible. Important note: Please keep in mind the information included in this article applies to specific types of batteries, namely Gel and AGM. It doesn’t apply to Wet or lithium-ion technology batteries. Let’s have a look at those in some detail. 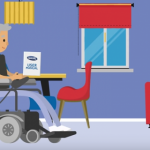 The payload on a power wheelchair is the combination of the user’s weight and items being transported on the wheelchair (e.g. respiratory products). Since most users and loads are not as heavy as the specified product’s maximum payload, the positive impact on the driving range can be quite big. Smooth, hard surface will reduce power consumption. On the other hand, driving on soft, uneven, rough or slippery ground will increase the power consumption. Low temperature influences the viscosity (i.e. how “thick to flow” the battery liquids become) of the battery’s lubricate. At temperatures between -5°C to -10°C the lubricate loses viscosity and the driving range can be reduced by approx. 10% (in this case the battery’s capacity is only temporarily reduced). The ideal operating temperature for batteries is within the range of 18°C to 25°C. At 0°C the battery is losing approx. 30% and at +30°C approx. 10% of its nominal capacity. Stop & Go, slope, kerb climbing & turns are energy consuming actions. Low air pressure increases rolling resistance. 1 bar decrease of pressure can cause 20% decrease of driving range. 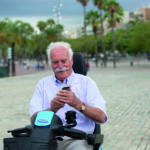 Powered options (such as tilt, recline, powered leg rest or riser functions) drain energy. Frequent use of those options reduces the driving range. 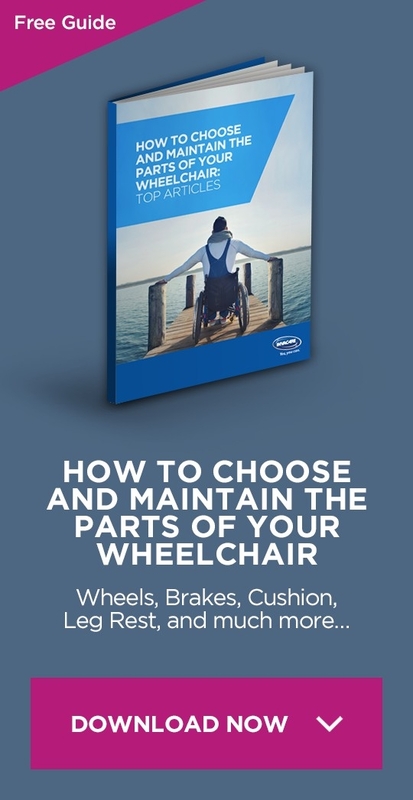 You should consider the following before purchasing a power wheelchair. Lighter chair will consume less energy. Bigger batteries with higher capacity will allow longer driving range (but increase total weight). Motor / gearbox combination has influence on the energy demand and driving range. 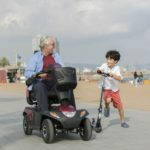 Rear wheel drive chairs consume more energy than center or mid wheel drive chairs. Moreover, please pay attention to these considerations as they are very important for your batteries best function. Priming is a critical issue in a battery’s life cycle. It is done by the first charging and should last between 18 and 24 hours. Formatting is completing the production process and occurs while charging / discharging cycles. The first 5 charging / discharging cycles should be kept flat. In fact, new dry batteries normally reach their full capacity after 50 to 100 cycles. Keep in mind that new batteries right out of production simply can not achieve their full capacity right from the start! Battery electrolytes must not become frozen! Freezing point of sulphuric acid is at -36°C, but at 0°C if fully discharged! When the battery indicator reached the red LED range, charge the batteries for 16 hours minimum, neglecting the charge complete display! In not just a few cases, especially when the user is severely disabled, assistants and/or family members have to be instructed in detail. It is a fact that rechargeable batteries are consumable goods due to natural loss of capacity and life cycle. As a user you must understand the importance of treatment. Careful treatment can extend the life cycle through full charging whenever possible, long time storage in cool temperatures, avoiding freezing, monitoring and charging when stored once a month , avoiding deep discharge In addition to priming and formatting when new and flat cycling when new 5 times. Finally, please keep in mind that battery full capacity Is achieved only after minimum of 10-20 charging cycles and in order to avoid losing driving range minimize unnecessary power consuming actions.